From the front page of the report. Climate change represents one of the greatest threats of the 21st Century. The World Bank estimates that the global economy will need around $4.1 trillion in incremental investment between 2015 to 2030 to keep the temperature rise within the internationally agreed limit of 2°C. Meeting this target will require significant investments in climate action, and a shift in focus towards a low-carbon, carbon-resilient development future. The Green Climate Fund (GCF) is currently the largest multilateral climate fund, and climate change and development practitioners alike are focused on seeing these resources flow. The climate finance landscape extends beyond the parameters of the GCF, however, and the availability of funding from various sources – national and international, public and private – means that the climate finance arena is a complex and dynamic one to navigate. If countries are going to access the scale of funding required, it is critical to consider the full spectrum of funding sources and their requirements, as well as the different mechanisms available from them, and how they can be combined. This makes the process of accessing climate finance especially complex. This working paper* has been prepared as part of a series of outputs from a CDKN Learning Legacy project, Lessons in Climate Finance. The paper focuses on understanding the concept of ‘bankability’ in support of the development of quality ‘bankable’ project proposals. The term ‘bankability’ originated in the finance sector and typically refers to projects that have a return on investment or positive Net Present Value (NPV). Its use in the international climate finance space has become increasingly popular, although it is also often used interchangeably with words like fundability and eligibility. It is hoped that further understanding bankability, and the key factors that go into developing a bankable project within the context of the different funds, will improve the success rate of proposals, but also limit the waste in significant costs and resources associated with developing unsuccessful proposals. It is informed by the experience of CDKN’s climate nance-related support across the three regions in which CDKN operates: Africa, Latin America and Asia. The research involved interviews with CDKN project managers, country engagement leaders, government officials and project partners. This working paper has also been informed by learning exchanges organised by CDKN. These have provided a platform for key stakeholders, including government partners directly involved in developing project proposals, to share insights, lessons, and the experiences and challenges of mobilising resources for climate compatible development. The first step in readiness for climate finance is an ability to identify suitable sources of finance, while the second is the development of strong, fundable proposals (bankable projects). CDKN projects supporting national climate change policy-makers to better understand how to ensure local access to the Green Climate Fund have revealed that governments are not adequately prepared in terms of developing bankable projects, yet continue to invest significant resources in proposal development for various climate finance sources. Furthermore, while national accreditation is the first piece of the puzzle, the capability to mobilise resources for climate compatible development relies, in turn, on an ability to develop ‘bankable projects’. For most countries, this often presents a challenge. Bankability in the context of climate change goes beyond the traditional definition of bankability as outlined above to encompass socioeconomic/social metrics, including, for example, improvements in the resilience of communities, and/or alignment with national priorities. In many instances, these additional elements are not easily quantified, which contributes to the grey area between bankability and eligibility, another term commonly referred to in relation to accessing finance. Eligibility in this context refers to the degree to which the project fits the criteria of the specific fund in question. However, while bankability is typically defined with reference to the financial returns on investment, in contrast, the indicators for eligibility typically refer to more dimensions, for example whether or not the project complies with strategic objectives of the fund in question. Therefore, in the context of climate change projects, the definition of bankability should be wider and encompass both financial returns and capture the social/environmental benefits of projects. While the GCF has approved significant amounts of funding to support country readiness, the approval of actual project funding has been lower than anticipated. Nevertheless, the GCF is making a concerted effort to provide countries with preparatory support in several ways, for example through this readiness funding, but also in support of enhanced direct access. This enhances country ownership of projects via Requests for Proposals (RFPs) for pilot projects, which, if supported by a good project concept note, present opportunities for national entities to be fast-tracked through the GCF accreditation process. The GCF remains constrained, though, in its ability to disburse funding as a result of the poor quality of project proposals in the pipeline. Where projects have been approved, it has been with conditions, which is directly linked to poor project design. These conditions often make the project difficult to implement, and may lead to significant delays in its actual implementation. Delays may in turn affect the bankability of the project as market conditions and/or opportunity costs may change. They also pose significant risk, therefore potentially discouraging private sector investment. Lastly, there is a considerable length of time between countries developing a concept note and developing a full project proposal. To some extent, the problem demonstrates the lack of capacity to develop bankable projects, as well as to fulfil the GCF’s fiduciary standards and requirements in the fund’s investment framework (see the criteria for the GCF framework on page 15 of the paper). While countries have developed national policies and strategies, these do not always meet the criteria for a programmatic approach. As a result of the complex and stringent requirements, countries have spent a significant amount of resources on various aspects of climate finance readiness. However, this has been focused mainly on building the necessary institutional, technical and fiduciary capacities associated with the four pillars of climate finance (planning, access, delivery and monitoring, reporting and verification), as opposed to understanding how to make climate projects bankable. What is missing in terms of readiness is a nuanced understanding of the term bankability and what it means for various funders. Lesson 1. The definition of bankability for climate change projects goes beyond the standard/ traditional definition of bankability: Bankability in the context of climate change goes beyond that of financial returns to encompass socioeconomic/social metrics, including, for example, improvements in the resilience of communities, and/or alignment with national priorities. In many instances, these additional elements are not easily quantified, which contributes to the grey area between bankability and eligibility, which in this context refers to the degree to which the project fits the criteria of the specific fund in question. Lesson 2. Bankability is understood and perceived differently among stakeholders, yet is at the core of developing successful project proposals: For example, most international climate funds place emphasis on (amongst other aspects) a project’s scalability and contribution to long-term transformation at country level, and consider these to be important determinants of a project’s bankability. For national funds a bankable project is one that responds to national priorities as well as the fund’s priorities (for examples see the full text). Lesson 3. The determinants of bankability vary depending on whether the source of funding is public or private: For example, from the private sector perspective, the costs and benefits of the project, and hence the profitability and potential financial returns of the project are key aspects of bankability and are given prominent weighting. There is also a notable difference in the language used by the public and private sectors with reference to bankability. The need for coordinated climate project identification and appraisal structures at national level. The need to enhance national capacity for financial and economic analysis. Costing and availability of climate data. Lesson 5. Bankability of a project depends on the structure of the finance model and the selection of financial instruments: For example, CDKN's experience in Rwanda has shown that some types of project need to be designed for financing through a combination of both grants and loans to ensure their long-term financial viability and their bankability. Blending different types of funding instruments can contribute to the bankability of project proposals from the perspective of the funder. Lesson 6. The definition of bankability depends on the type of project, whether mitigation or adaptation: In a case of mitigation, emissions reductions would be an essential characteristic to assess, while in an adaptation context, risk and vulnerability reduction are attributes that could contribute to a project being bankable. Mitigation projects are also typically more likely to be revenue-generating and therefore likely to be aligned with financial indicators, while adaptation projects are more likely to be associated with non-financial indicators of bankability, such as social impact and potential for emissions reduction (see full text for further explaination). Lesson 7. Bankability of a project depends on the ability to demonstrate a programmatic approach and the potential for a paradigm shift: The GCF promotes a programmatic approach to funding proposals, and provides support in the development of country programmes through its Readiness Programme. Any programme developed and submitted for GCF consideration, including the individual projects within it, should contribute to the GCF’s ultimate objectives, as defined in the Governing Instrument – including the promotion of a paradigm shift towards low-emission and climate-resilient development pathways. This working paper was written by Charlotte Ellis and Kamleshan Pillay. 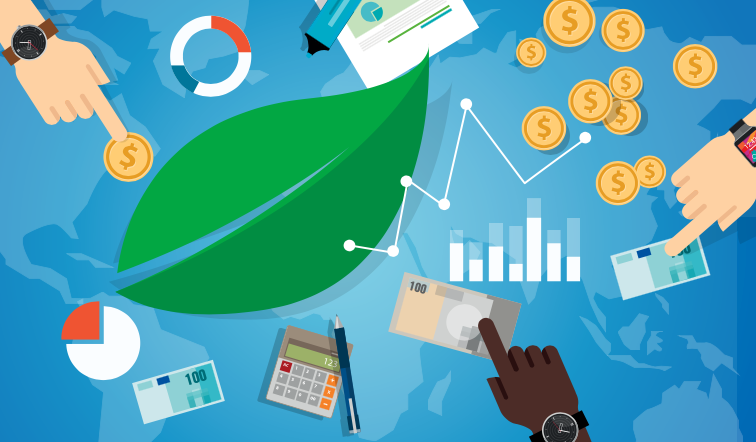 Read the related blog by J. Steeves and V. Fayolle "Learning to access climate finance – Insights for Bangladeshi businesses"